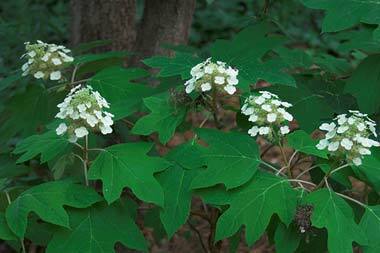 Found in every section of Alabama, the oak-leaf hydrangea is a deciduous shrub that grows six to eight feet tall. In spring, spikes of white blooms rise above large green oak-shaped leaves. The blossoms turn a deep rose color in the summer and the leaves turn deep red to burgundy in the fall. 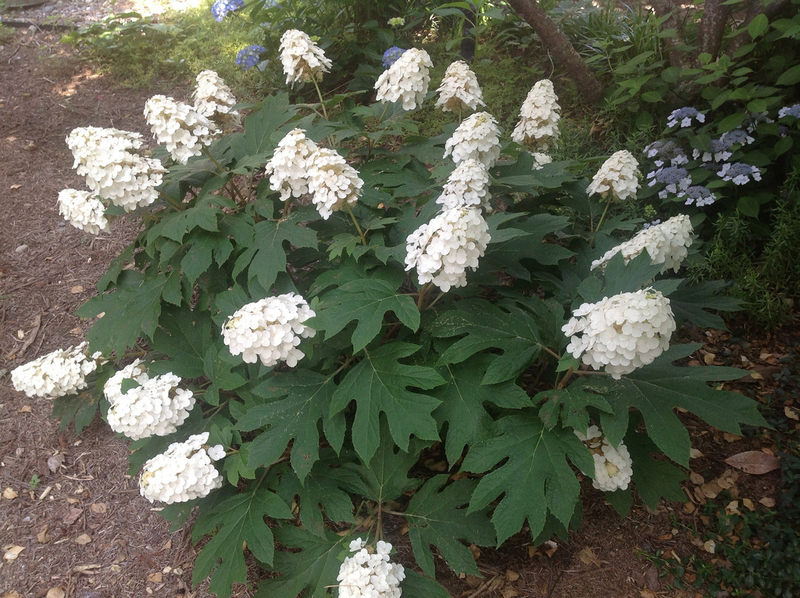 Peeling bark on the stems and branches add to the soft beauty of the oak-leaf hydrangea.